At its hardware event in New York today, Google took the wraps off the Pixel Slate, the company's first tablet running Chrome OS, the Google Pixel Slate. And yes, the device is just as attractive as its name. 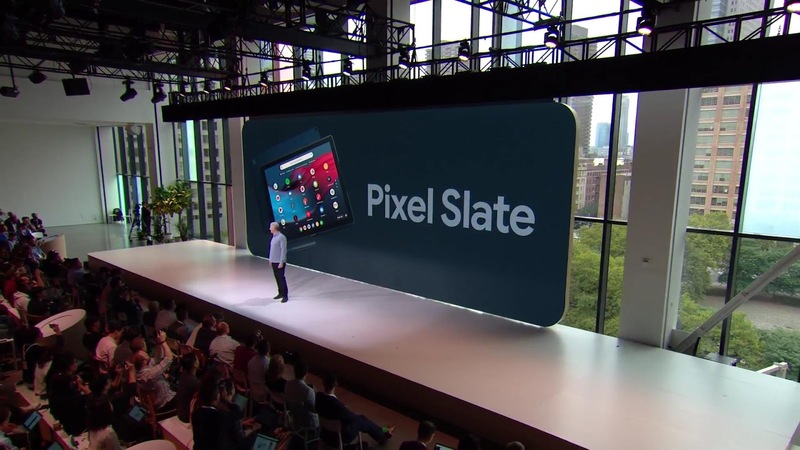 The Google Pixel Slate is a 12.3″ tablet (roughly the same diagonal size as the Pixelbook) with a focus on both content creation and consumption markets. It’s decked out in a gorgeous deep ocean blue, with a sharp silver accent color on the power button, a signature trait borrowed from Pixel phones. The power button is notched into the upper corner of the device. This is because it also holds the fingerprint sensor, a new feature for Chrome OS devices.On the bottom of the device, a contrasting orange color is seen on what appears to be the connector for the official keyboard. The Pixel Slate features smaller bezels than last year’s Pixelbook, with a camera up top, and a speaker embedded on either side. 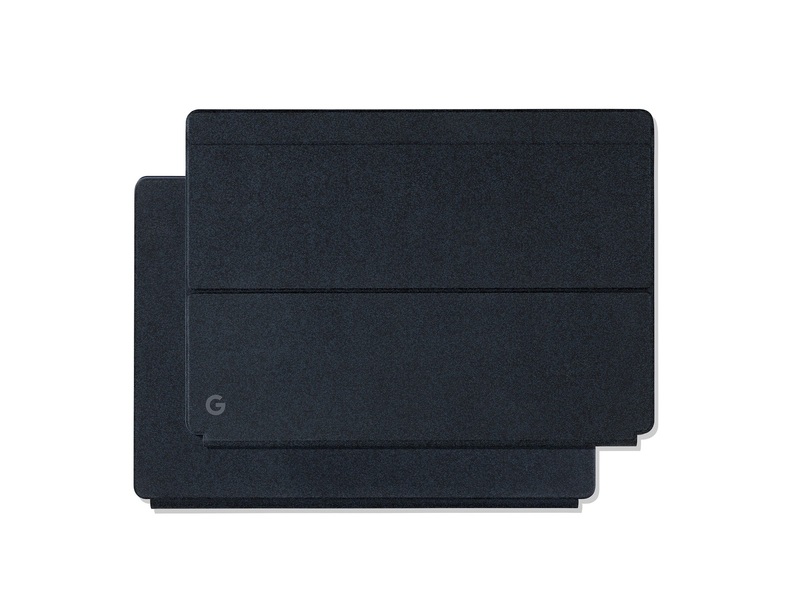 On the back, the familiar “G” logo is prominently displayed, giving the device the Google stamp of approval. In the next corner, a rear camera can be seen — a first for Chrome OS devices in the Pixel family. The Google Pixel Slate comes in five distinct models, with the primary differences between them being the processor, storage, and RAM. All models come with an 8th Gen Intel® processor, no less than 32GB of SSD storage space, and a minimum of 4GB of RAM. Otherwise, all models will be the same. 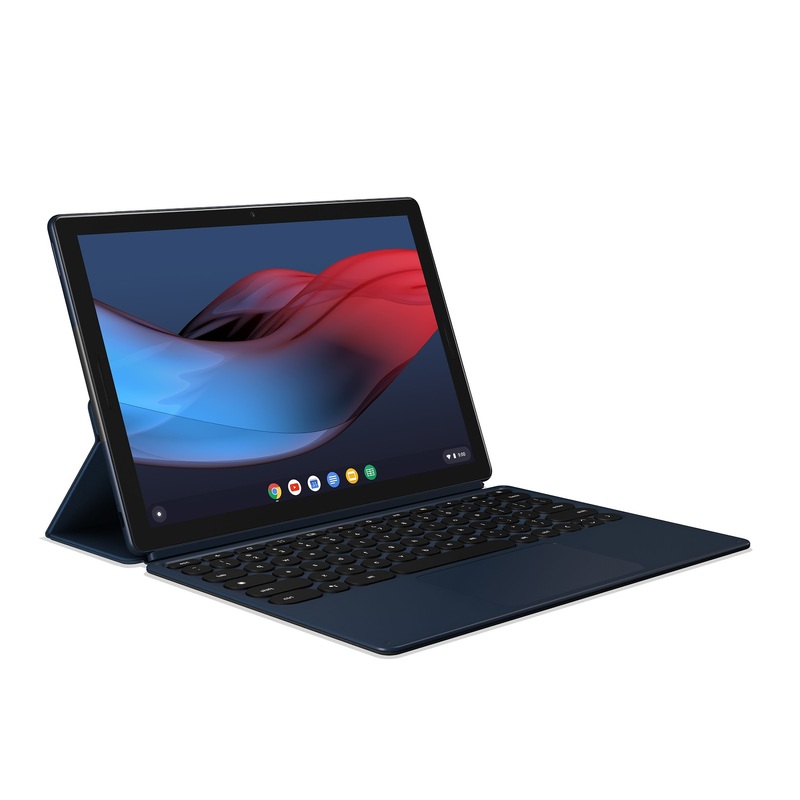 Google has assured us that whichever model you buy, your experience will be consistent, as the Google Pixel Slate was optimized for the lowest end device.The Google Pixel Slate is equipped with what Google calls a Molecular Display, with a resolution of 3000×2000. Even with this massive display, Google claims the device’s battery will last for up to 10 hours of use. One thing notably missing from the device is the lack of a headphone jack. This is, unfortunately, consistent with the rest of the devices in the Pixel family this year. Perfectly complimentary to the Google Pixel Slate is the Pixel Slate Keyboard, sold separately. 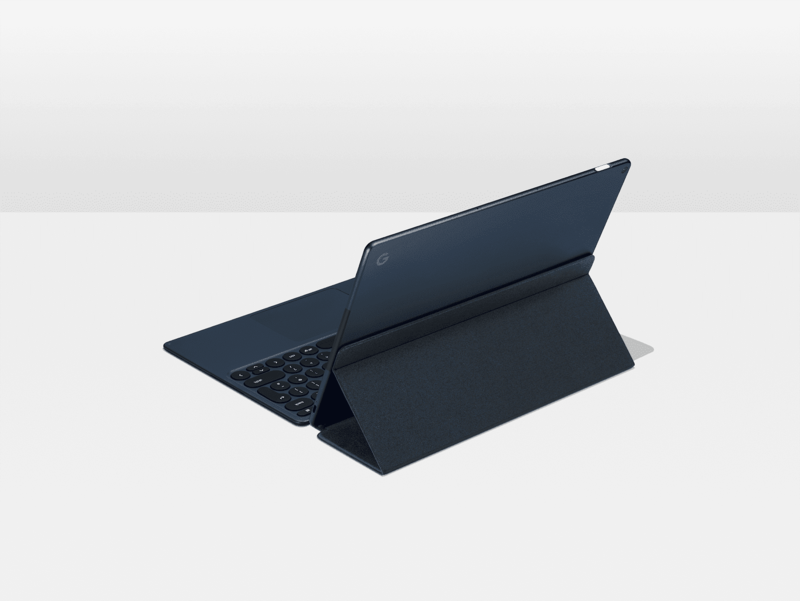 The full-size Pixel Slate Keyboard connects directly to the Pixel Slate, and can fold to create a stand, securely holding the device upright for a more laptop-like experience. 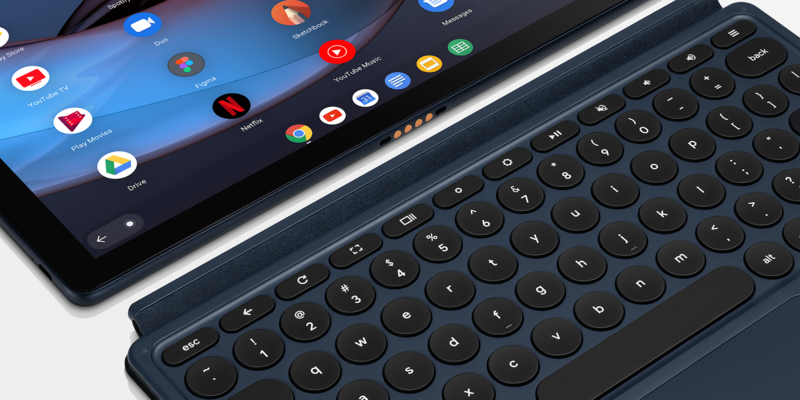 The official Google Pixel Slate Keyboard will set you back $199, roughly double the cost of the Pixelbook Pen. If this isn’t quite what you had in mind, we know there will be at least one alternative keyboard from premium accessory brand Brydge. The Pixelbook Pen has launched in a new color that compliments the Google Pixel Slate. To match the new Pixel Slate, Google has refreshed the Pixelbook Pen with a new “Midnight Blue” color. Still featuring a two-tone design, the upper barrel is aluminum and a slightly lighter shade of deep blue. Meanwhile, the pointy end of the Pixelbook Pen is darker and plastic in feel to aid with grip. “Midnight Blue” matches with the Pixel Slate nicely and has the benefit of being less prone to smudging, compared to the silver Pen. The marquee feature of the Pixelbook Pen continues to be the sole button near the tip to highlight images and text for Assistant to analyze. Selecting a date will open a panel that offers to make a Calendar appointment, while circling an image will perform a visual search. As a creative tool, the Pen features pressure sensitivity, tilt support, and “virtually” no lag thanks to Wacom AES technology. The Google Store sells Pen Replacement Tips given the tendency for them to become blunt overtime, as is typical with all professional styli. Made of elastomer composite, the Tip found on the new color is still black. The Pixelbook Pen is powered by a single AAAA battery that features a long battery life, but is not as convenient as the rechargeable Apple Pencil for the iPad Pro. Last year, one big complaint of the Pen was the inability to easily and securely store the accessory with the Pixelbook. Google briefly offered a loop that attached to the laptop via adhesive. This is definitely the most minor Made by Google refresh this year, but still a nice touch for buyers that want color matching devices. 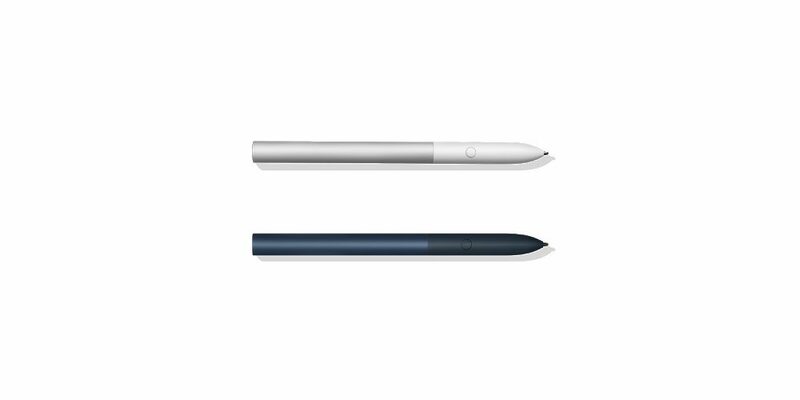 The Google Pixelbook Pen still retails for $99 on the Google Store, with the old silver and white variant sold alongside Midnight Blue. Unfortunately, there's no release date just yet — we only know it's due before the end of the year. You can find more information on the Google Store.